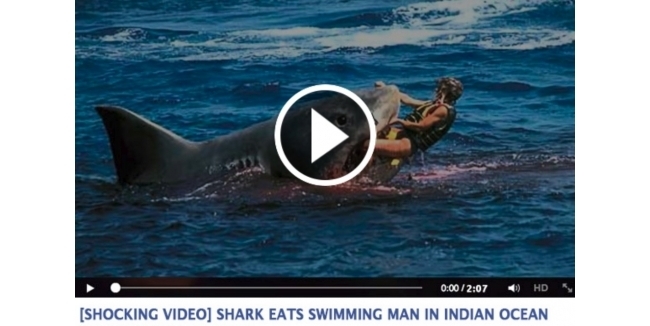 What do a shark eating a man in the Indian Ocean and a python eating a passed-out drunk man have in common? No, not the main course: They are both hoaxes that spread virally via Facebook. However, those who fall victim — to the scam, not the shark — are asked to click like, and then complete surveys, which earn money for the spammers who host the pages. Of course, the potential for phishing and malware also lurks. 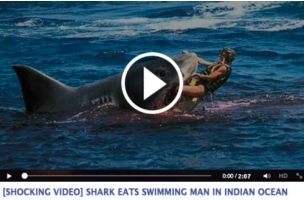 Readers: Have you seen this hoax in your News Feeds? Screenshot courtesy of International Business Times.